Cat first became amphibious playing underwater hockey... that was her first step in mastering buoyancy and breathing under water. 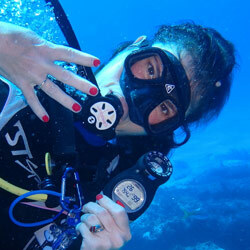 She then got scuba certified in 1999 with open water, moved on to advanced and rescue diver in 2011. Now a dive master with Captain Glen, she gets to share her passion for diving every chance she gets! Cat swears by using nitrox on 7 days dive trips to fully enjoy 3 or 4 dives per day... and even squeeze in a fifth night dive. 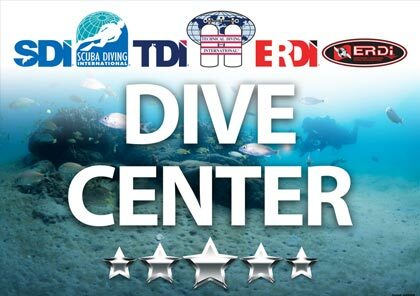 She has over 400 dives logged- from the cold water lakes of Quebec, Canada to the warm waters of Roatan, Utila. She has a story or two she can share with you, including the one about the Quebecoise meeting the Arkansan in Roatan! Cat Speaks three languages: French, English and Spanish.